The Niue Integrated Strategic Plan (NISP), adopted in 2003, is the national development plan, setting national priorities for development in areas such as financial sustainability. 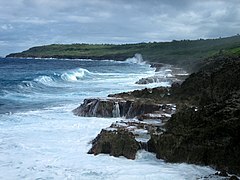 Since the late 20th century Niue has become a leader in green growth; the European Union is helping the nation convert to renewable energy. In January 2004, Niue was hit by Cyclone Heta, which caused extensive damage to the island, including wiping out most of South Alofi. The disaster set the island back about two years from its planned timeline to implement the NISP, since national efforts concentrated on recovery. The Niue Integrated Strategic Plan (NISP) is the national development plan, setting national priorities for development. Cyclone Heta set the island back about two years from its planned timeline to implement the NISP, since national efforts concentrated on recovery efforts. 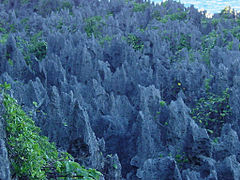 In 2008, Niue had yet to fully recover. After Heta the government made a major commitment to rehabilitate and develop the private sector. The government allocated $1 million[when?] for the private sector, and spent it on helping businesses devastated by the cyclone, and on construction of the Fonuakula Industrial Park. This industrial park is now completed and some businesses are already operating from there. 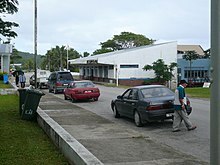 The Fonuakula Industrial Park is managed by the Niue Chamber of Commerce, a not-for-profit organisation providing advisory services to businesses. 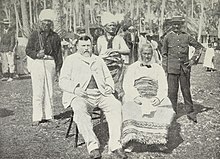 The government and the Reef Group from New Zealand started two joint ventures in 2003 and 2004 to develop fisheries and a 120-hectare noni juice operation. Noni fruit comes from Morinda citrifolia, a small tree with edible fruit. Niue Fish Processors Ltd (NFP) is a joint venture company processing fresh fish, mainly tuna (yellow fin, big eye and albacore), for export to overseas markets. NFP operates out of a state-of-the-art fish plant in Amanau Alofi South, completed and opened in October 2004. Most families grow their own food crops for subsistence and sell their surplus at the Niue Makete in Alofi, or export to their families in New Zealand.Coconut crab, or uga, is also part of the food chain; it lives in the forest and coastal areas. On 27 October 2016, Niue officially declared that all its national debt was paid off. The Government plans to spend money saved from servicing loans on increasing pensions, and offering incentives to lure expatriates back home. 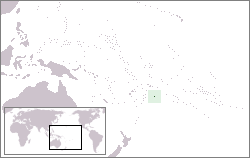 However, Niue isn't entirely independent. New Zealand pays $14 million in aid each year and Niue still depends on New Zealand. Premier Toke Talagi said Niue managed to pay off US$4 million of debt and had "no interest" in borrowing again, particularly from huge powers such as China. ^ a b "Niue". GeoHive. Archived from the original on 6 October 2013. Retrieved 2013-10-05. ^ "Introducing Niue". Lonely Planet. Retrieved 2016-10-24. 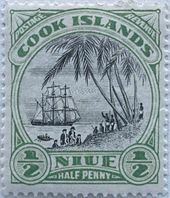 ^ "Niue Islands Village Council Ordinance 1967". Archived from the original on 28 December 2016. Retrieved 2017-10-28. ^ "The Church Missionary Gleaner, October 1853". Savage Island. Adam Matthew Digital. Retrieved 18 October 2015. (Subscription required (help)). ^ "Niue's only party dissolved". Rnzi.com. 21 July 2003. Retrieved 2019-01-06. 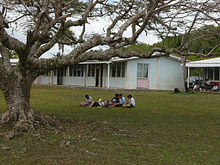 ^ "Niue - Tuila Office Tuila overview". Sunnyportal.com. Retrieved 2017-08-23. ^ "Capacity Building related to Multilateral Environmental Agreements (MEAs) in African, Caribbean and Pacific (ACP) Countries: Niue Island Organic Farmers Association". European Union. Archived from the original on 20 December 2016. Retrieved 2016-12-10. 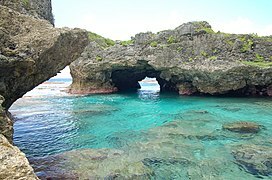 ^ "Reef Group looks to NZ for help Niue projects". Radio New Zealand. March 13, 2008. Retrieved May 18, 2016. ^ "Yamarna loses passion for Niue's uranium]". The Age. 6 September 2005. Retrieved 2007-12-24. ^ Jo Moir (April 18, 2016). "Foreign Affairs minister Murray McCully denies link between party donation and Niue contract". Stuff. Retrieved April 19, 2016. ^ Roy, Eleanor Ainge (27 October 2016). 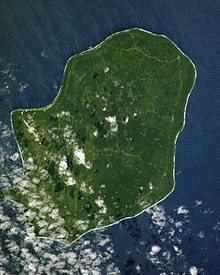 "Land that debt forgot: tiny Pacific country of Niue has no interest in loans". The Guardian. Retrieved 2017-08-23. ^ Roy, Eleanor Ainge (2016-10-27). "Land that debt forgot: tiny Pacific country of Niue has no interest in loans". The Guardian. ISSN 0261-3077. Retrieved 2016-11-18.